The fact is that most men don’t know how to tie a tie to perfection, although a well-made knot is an undeniable symbol of elegance and style. But you shouldn’t worry if it seems complicated, tying a tie is difficult in the beginning! Among the useful applications for iPhone, Blackberry and other smartphones, we found one, that we wanted to recommend to you all; How to tie a tie, an app that teaches you all the right techniques to tie a tie in a simple and easy way! 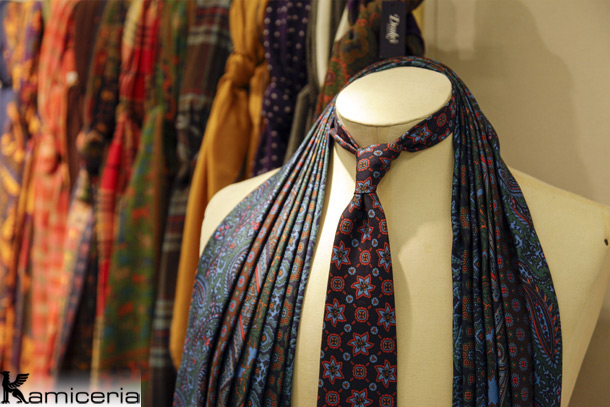 There are many different ways to tie a tie and so, you can choose according to your style preferences, to the occasion you are dressing for, in addition to the type of tie and clothing. Although tie knots might seem similar at the first sight, the small variations in the execution create different results: a touch of originality, which will be noticed by all of those who pay attention to details. The classic knot is fast to complete, while the simple knot is perfect for ties made out of thick and heavy fabrics, Windsor is ideal for special occasions and the Italian knot suits best creative people, Atlantic knot recalls the Thirties and Pratt is inspired by american style… So pick your favorite from the numerous knots and just follow the istructions of How to tie a tie! How to tie a tie is useful and interesting, but also successful app used by many men who love classic masculine elegance. Made in various versions for many different smartphones, from iPhone to Blackberry, to Android and Nokia, this application is ideal for everyone who wants to tie perfect knots for every situation, from beginner to more advanced! The free version, of How to tie a tie offers a series of images to guide you step-by-step to tying various tie knots and the paid version gives you more illustrated exaples with nice animations: just select one of those 20+ instructions available and create a perfect knot every time!